Da Bears Blog | Will He Get In on the First Ballot? Will He Get In on the First Ballot? I’m not big on debating whether or not players belong in the Hall of Fame. And honestly, I loved Brian Urlacher but I don’t much care if he gets into Canton on the first or fifth try. (I’ll be much more passionate when this conversation moves to Charles Tillman and Devin Hester – both of whom I believe fundamentally changed the NFL.) 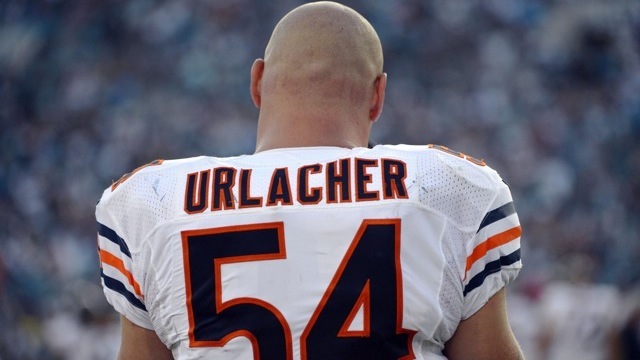 Nevertheless, tonight Urlacher will find out his fate when it comes to the first ballot. Good luck, BU.